While decorating this past Christmas, I was left with three homeless stockings and stocking holders. We don't have a fireplace at our "new" house, nor did we have any shelves high enough to prevent our then seventeen month old from pulling stockings down all. day. long. Michael cut, stained, sealed, and hung shelves from an extra piece of large plywood we had in our garage. It was a simple and inexpensive project, but adds so much to our home! It gives us a great place to add holiday decor and family photos. I love having a place to put decorative breakables that Levi can't reach. This is how the shelves looked with our stockings at Christmas. Yay!! ...and here is how I'm enjoying the "mantel" now. It will be fun to decorate it for each holiday. We've done quite a few updates on our first house since we moved here in May 2012. I am excited to share them on here! We still have a lot to do, and will be getting to work updating the kitchen and bathroom this Summer. It's going to be a lot of work, but will be so nice to have an updated space! I love witnessing the before and after. For an idea, here is how our beautiful, 70's bathroom looks now. The walls are made of Formica and the toilet is basically hugging the vanity. Hopefully the "after" pictures will be much different than this! It took a while for my one year old to get the hang of drinking a thick smoothie, and I wished there was a way to get him to have all the benefits of a smoothie "toddler style" (with his hands!) for a while before he was able to drink them. Please welcome my sister, Carrie, this week! 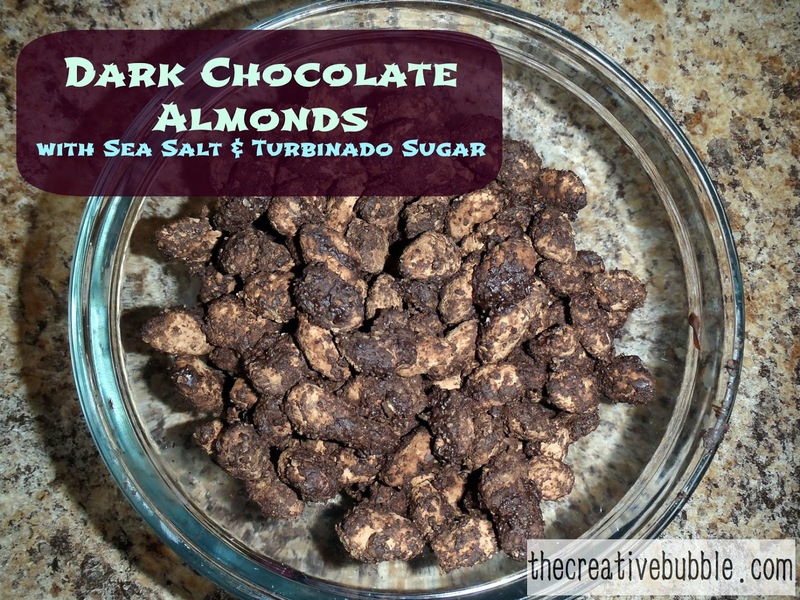 She is sharing her own recipe for dark chocolate cocoa almonds with sea salt and turbinado sugar. She lives in Franklin, TN with her husband and two dogs. I love her recipes and her great sense of humor. Enjoy! If you like dark chocolate and almonds, this recipe is for you! I was inspired by something similar I got at Trader Joe's. You only need a few things to make these magnificent nuts. We have a file cabinet in our office area that needed a little TLC (and still does really!). For now, I thought that some chalkboard labels would dress it up a bit. I put it off and put it off, but finally made French macarons! I did the basic flavor for the macaron itself, then additionally flavored them with fillings. They were not as hard to make as I'd thought they'd be, BUT I will definitely have to try again to play around with flavors and colors. I made a dark chocolate ganache for half of the batch and a strawberry whipped buttercream for the other half. I’m going to let you in on just how lazy I’ve been during this pregnancy. You’ll be able to tell by this list of “top 14 favorite pregnancy items.” Keeping up with an energetic one year old boy has made me anxious for the day when I get my energy back! These things have helped me along the way. 1. 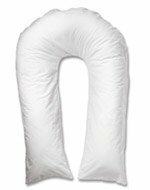 Comfort U Maternity Pillow-I didn’t have one of these with my first pregnancy, but am so glad that my awesome dad bought me one this time around. It’s so great to cuddle with. 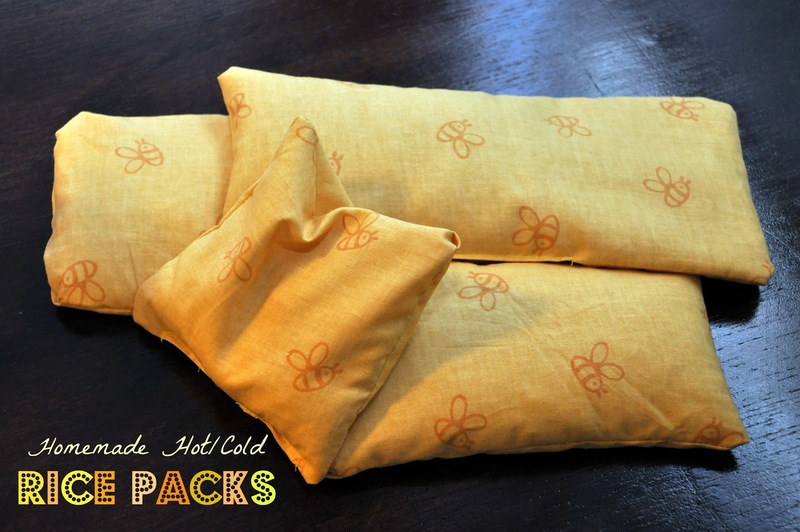 If you don’t have a pregnancy pillow, a big, soft blanket bunched up just right will do the trick. 2. 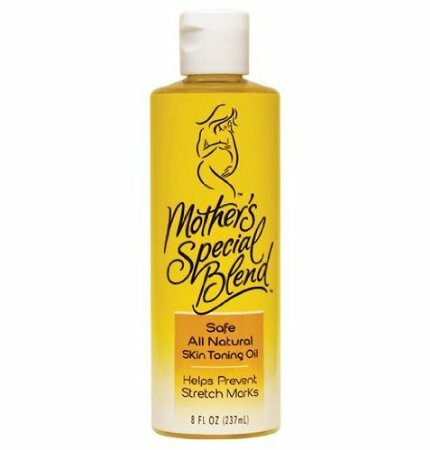 Mother’s Special Blend Skin Toning Oil-This oil smells really good, and definitely helped prevent stretch marks last time and so far this time. 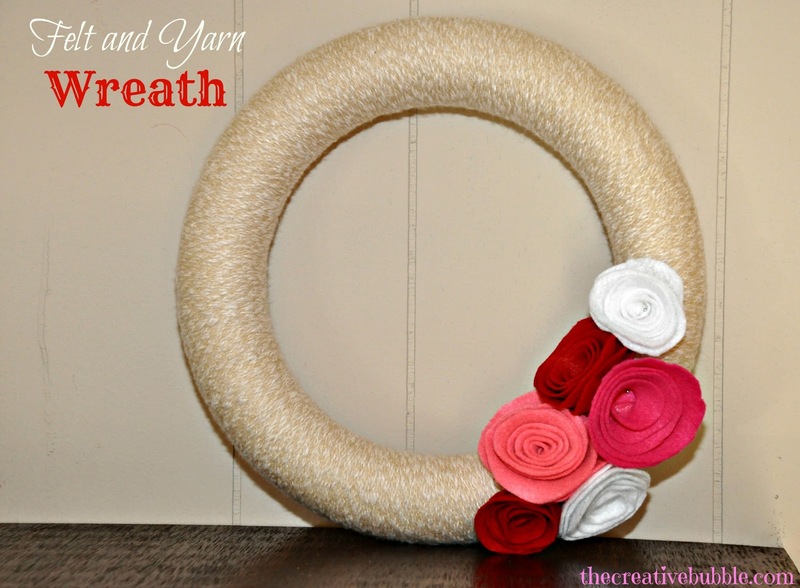 Making this wreath is really fun, because there are so many options with felt colors and yarn choices! The best part is: the flowers are interchangeable!! I love that you can change the flowers out for each season/holiday. I can't wait to get busy making different colors to use for Spring, Summer, Fall, and Winter. This wreath will be a staple in our home. I'll start with directions on wrapping the wreath first. Pin down one end of yarn to the side that you want to be the back. Wrap the wreath with the yarn until you make it back to the pin. This part is good to do while watching your favorite show, because it can take a little while. When you make it back to the pin, remove the pin, then repin both ends together. Now, you're done with the wreath. ...onto the flowers! I bought lots of felt colors for all the different holidays/seasons. Cut a circle (you'll probably want different sizes). You can draw a circle on the felt for a guide. Starting on the outside edge, cut a semi-wavy edged spiral, leaving a small circle in the middle. Now, begin coiling the felt from the outside edge until you reach the middle. The small circle in the middle will serve as a base to hold the flower together. This is where the felt glue comes in. Put a decent amount of glue on the flower base, then try to make sure it secures the entire coil. That's it! You made a felt flower. Now, you can add a little leaf and glue it on if you like. So pretty! 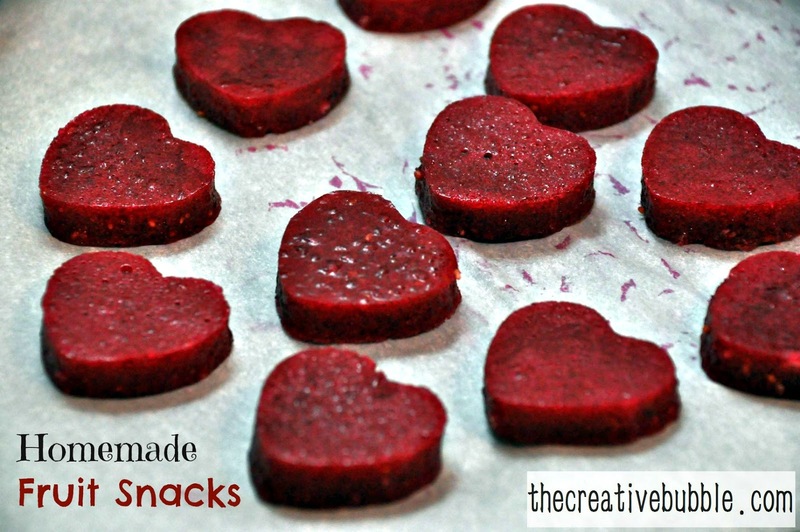 I love this easy project. 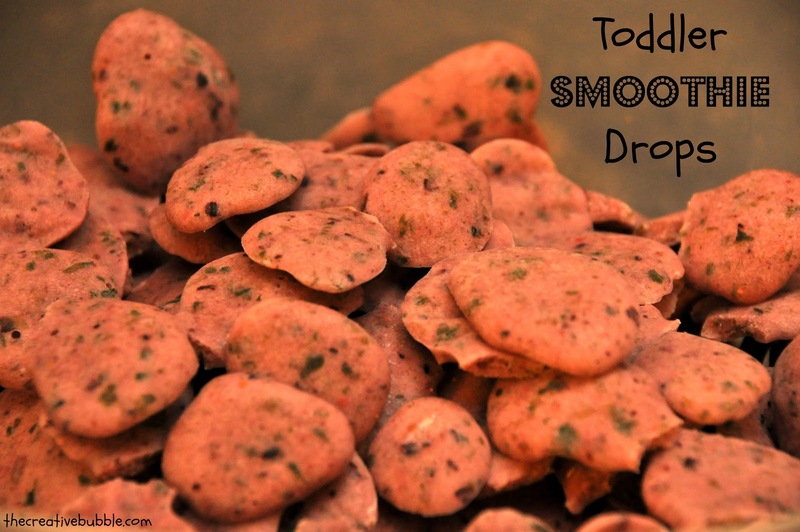 I thought they would be much harder to make than this, but it wasn't bad at all. The last step is pinning the flowers to the wreath. I pinned the inside, middle of each flower. You can see the pins in the picture above. When you're ready to change them out, just remove the pins, (which comes out easily, and doesn't mess up the yarn base) and repin the colors you want next! How fun! Yep, I decorated for Valentine's Day already. Our second baby boy is due on Valentine's Day, so I wanted to be prepared/festive before we become busy with his arrival. I love Valentine's Day!